Over £436 was raised at Wentworth Court’s first fete on Saturday 12th September which was attended by over 100 Wentworth Court friends, families and the local community. 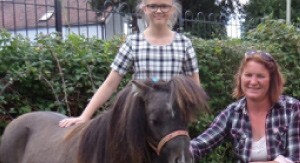 Our visitors donated generously to a prize raffle, a home-made cake sale and a bric-a-brac stall while children enjoyed petting miniature Sheltland ponies provided by Catherine’s Carriages. We had a great day with lots of positive feedback about our lovely home, the friendly staff and beautiful cakes made by our chefs, Sue and Andrea. We are grateful to all the organisations who donated to our prize raffle and to Forget Me Not Jewellery who hosted a stall. The funds will go towards trips for our residents plus we are making a donation to the Willow Trust, who are hosting us on their canal boat later this month.